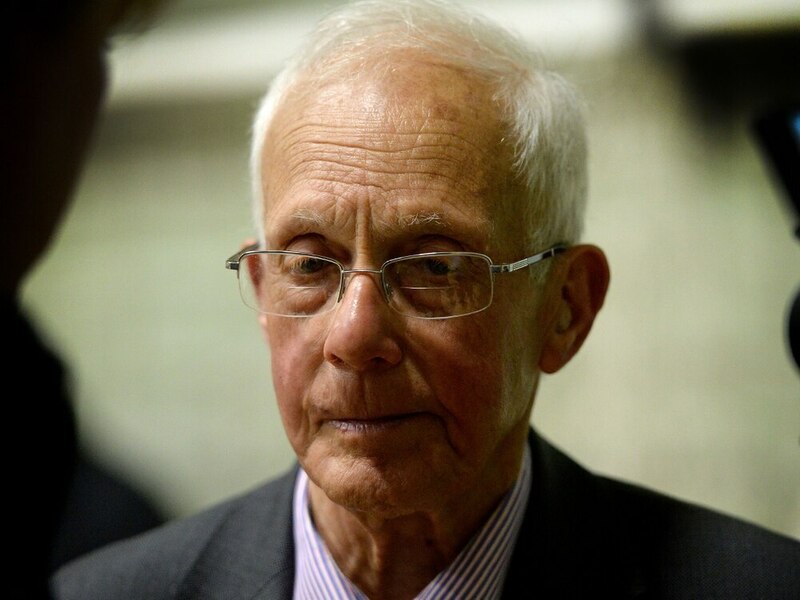 It was the end of an era in Walsall North as David Winnick lost his seat in Parliament, drawing to a close his 38-year reign at the constituency's MP. The 83-year-old had been a fixture in Walsall North since 1979 and had successfully defended the seat at eight previous elections. He was defeated by Conservative Eddie Hughes, who won with a majority of 2,601. Addressing the crowd at the university hall on Gorway Road, an emotional Mr Winnick said he wished the result had gone his way, but 'democracy works in mysterious ways'. "You have to take the rough with the smooth, and for some of us this was rough tonight. "But I want to pay tribute to my wonderful team that have dedicated themselves over the last few weeks to try and make sure that I was re-elected as a member of Parliament. "Anything that led to this result, I take full responsibility for. "It has been a great privilege to represent this constituency for 38 years. "We've had our ups and downs, and I know there are many people here tonight that haven't lived for 38 years, including in fact my son who is eight years short of that milestone. "I've tried during that time to represent all my constituents, and to do whatever I can for the borough, for the constituency and for the West Midlands. "So it is deeply disappointing, but there is one factor that I should mention." 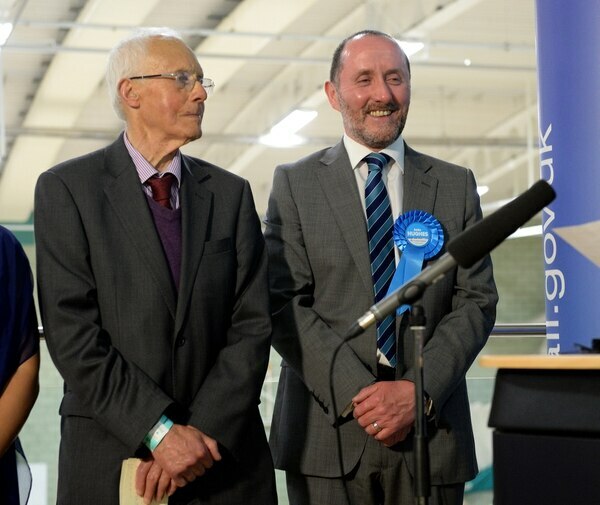 There were loud cheers as Mr Winnick said it was great news that the Tory Government had lost its majority. Reflecting on the national picture he added: "It is some compensation. Theresa May thought she could crucify the Labour Party at the election and it hasn't happened. In fact her majority is smaller than it was." 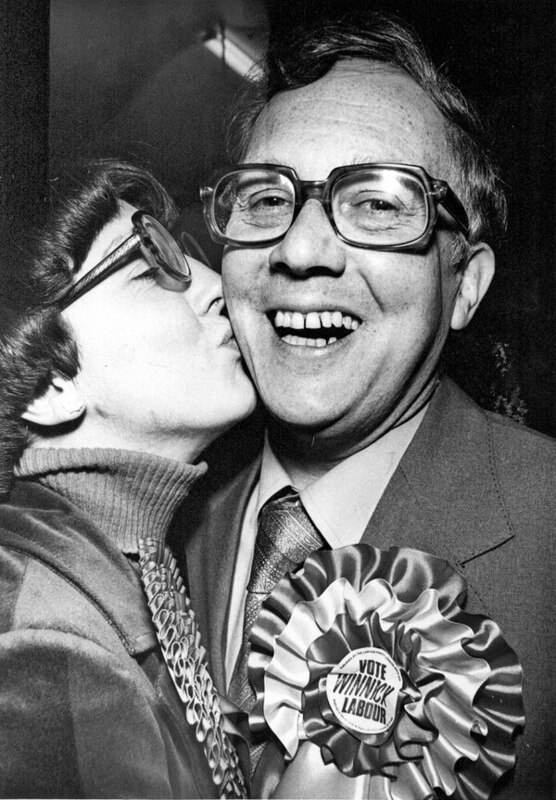 Mr Winnick was the MP for Croydon South from 1966 to 1970 before he unsuccessfully contested the 1976 by-election in Walsall North. He returned in 1979, winning the seat with a majority of 5,866 and has been a fixture there ever since. Mr Hughes is a councillor in Birmingham and has lived in Walsall for a quarter of a century. He was contesting his first election as a parliamentary candidate. He praised Walsall Council's Tory leader Mike Bird, who had said had first ignited his interest in politics. He thanked his campaign team and added: "It has obviously been a very tense evening. I look forward to being MP for all of Walsall North for hopefully the next five years." Mr Hughes also paid tribute to Mr Winnick. He said: "We knew right from the start we were going to fight very hard for every vote. "Thirty eight years is a very long service and for very good reason he has seen off previous Conservative candidates. "So we knew it was going to be tough. But I would liked to think it came down to the fact I'm a localish guy I am a Brummie, but I have lived in Walsall for 25 years, the son of an Irish immigrant bus driver, i think is something which struck a chord with people when we were knocking doors." Elsewhere across the borough Wendy Morton easily held Aldridge-Brownhills, increasing her majority by more than 2,500. Labour's shadow leader of the House of Commons Valerie Vaz enjoyed a successful night, extending her majority in Walsall South. Ms Vaz won by just under 9,000 votes, having held a majority of 6,007 from 2015.